Boris Mechanical, Inc. specializes in all your plumbing needs, including plumbing service and repair of residential, commercial and industrial structures. If you are seeking personalized quality service, then you have come to the right place. With Boris Mechanical Plumbing, you will always deal directly with the owner, not an employee. 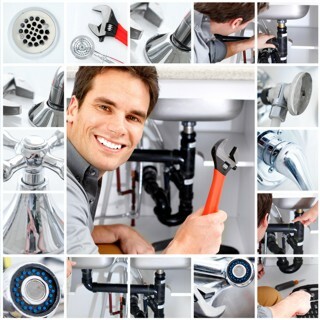 We think this is an important feature of our plumbing business. Licensed and insured . . .
Boris Mechanical is a family owned and operated plumbing business in New York City and was established in 2001. We are a licensed and insured Plumbing Contractor (copies of license and insurance provided upon request) and work strictly under the guidelines of the Uniform Plumbing Code of Regulations. We take pride in our work. Every job is done right, and unlike some companies who just want to work through the job so they can get to another, we take our time to do a quality job and get it done right the first time. Fast, honest and dependable . . . Sometimes unexpected plumbing issues can arise, and when they do, Boris Mechanical can assist you with any plumbing service and repair needs you may have. Fast, honest and dependable service is what we promise along with the respect of keeping your property clean and organized. We have several financing options available to you.